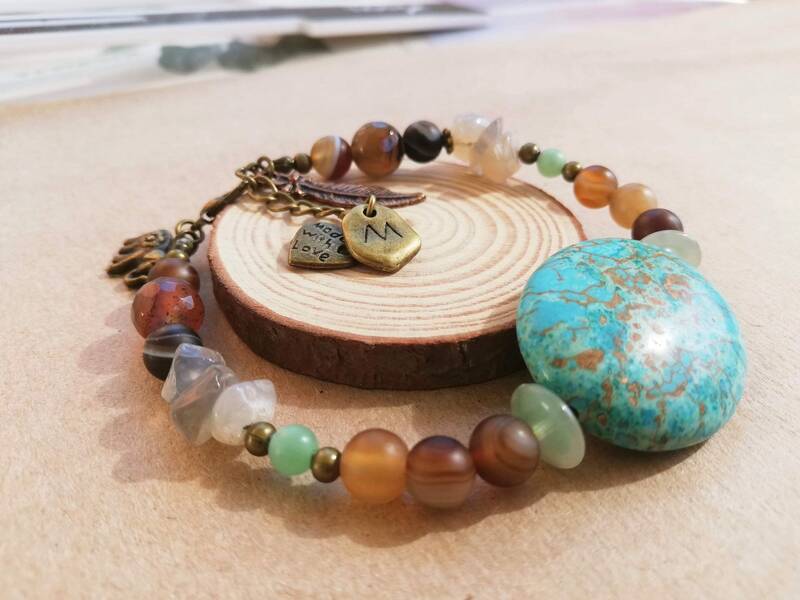 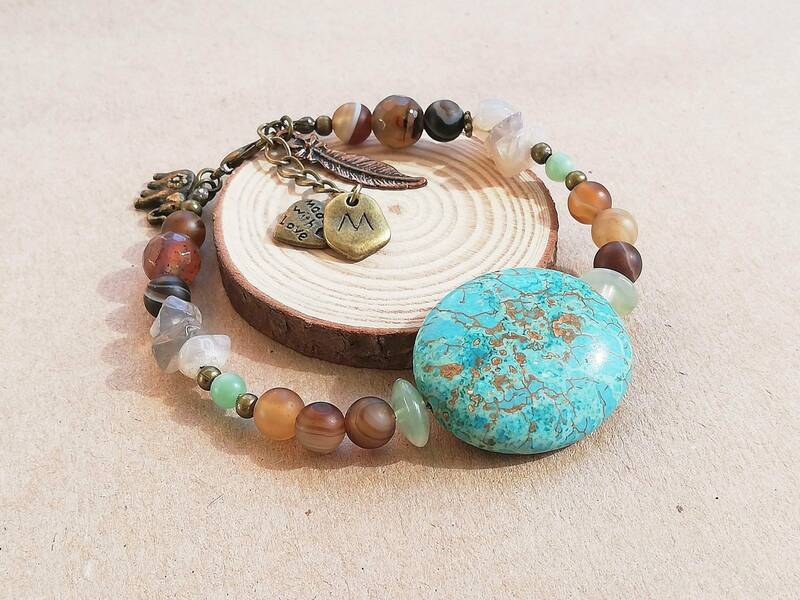 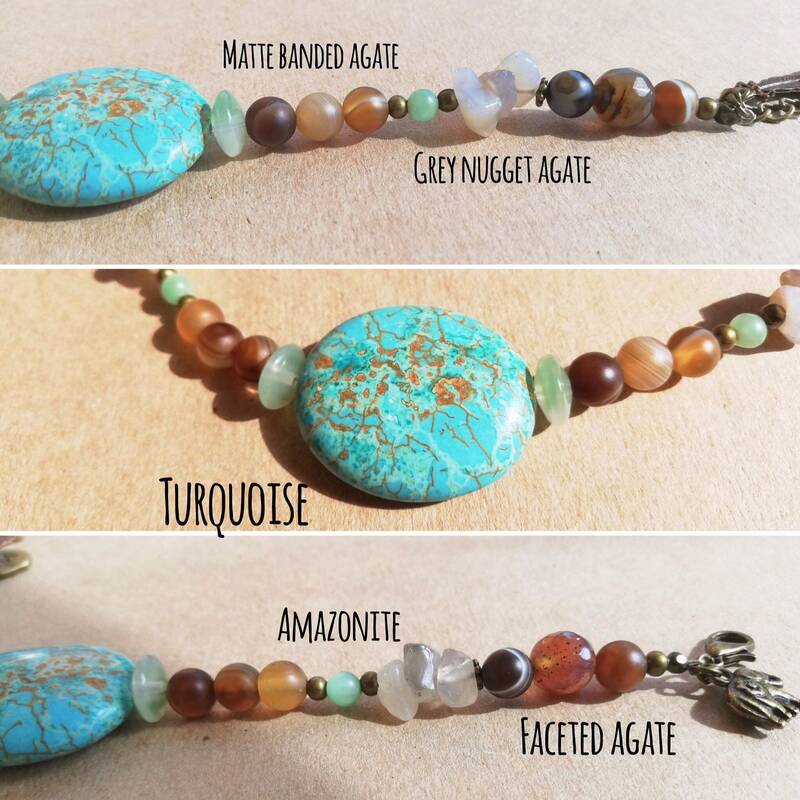 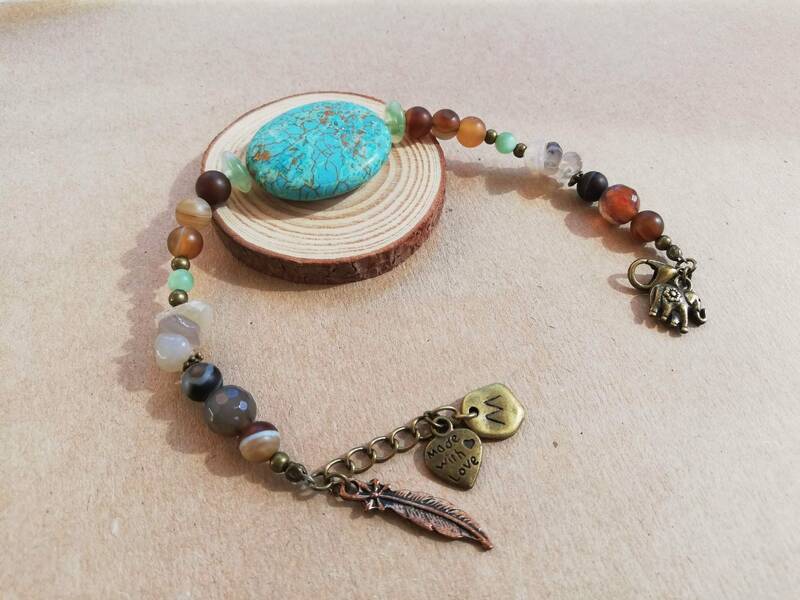 I love playing with gemstones, matching colours and shapes and this is one from a collection focused on rustic earthy designs with accompanying bronze and antique gold charms. 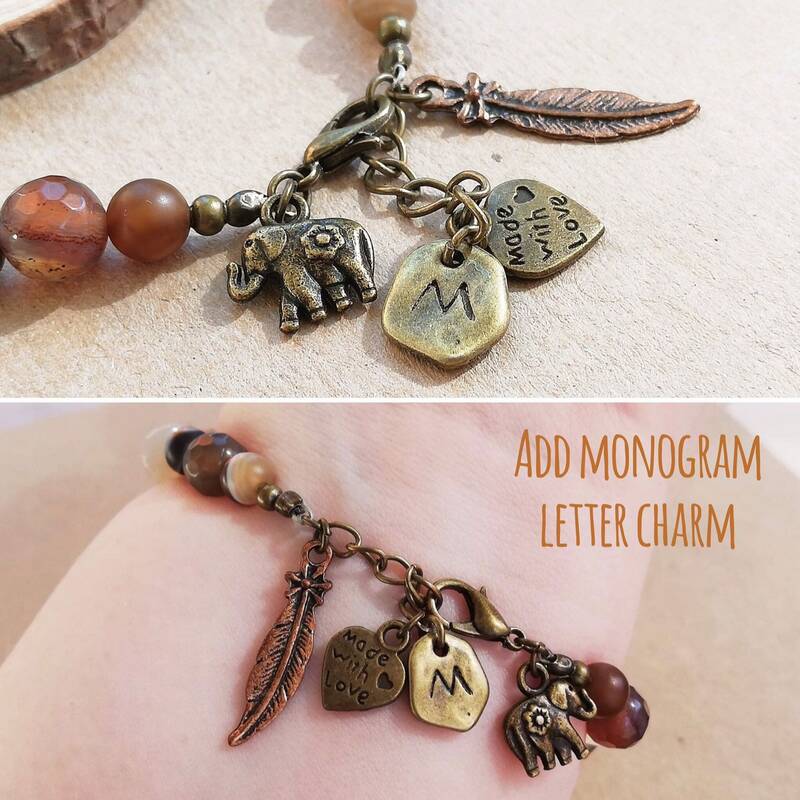 There is the option to personalise this should you wish with a monogram initial charm, double sided with the capital letter of your choice. 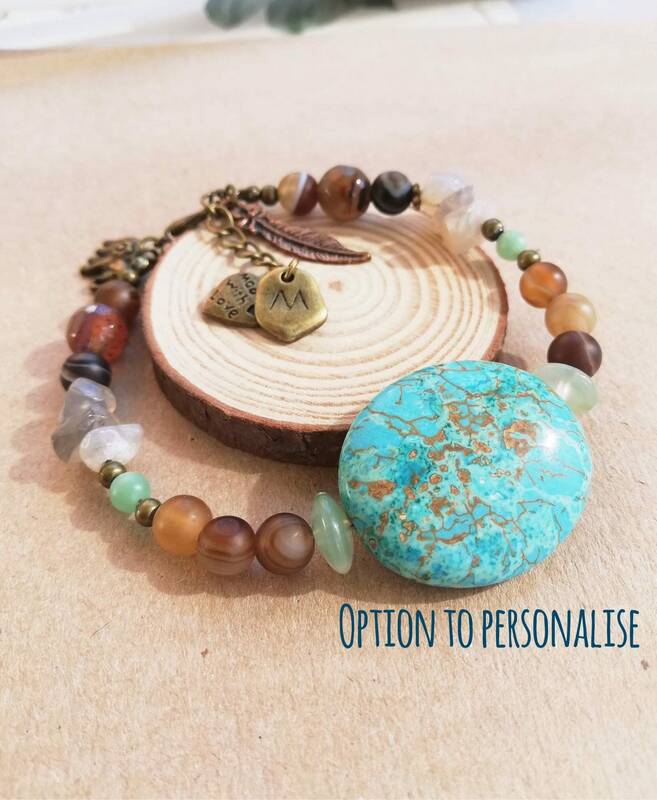 Please select the appropriate choice at check out and fill in the custom info box to specify your letter choice. 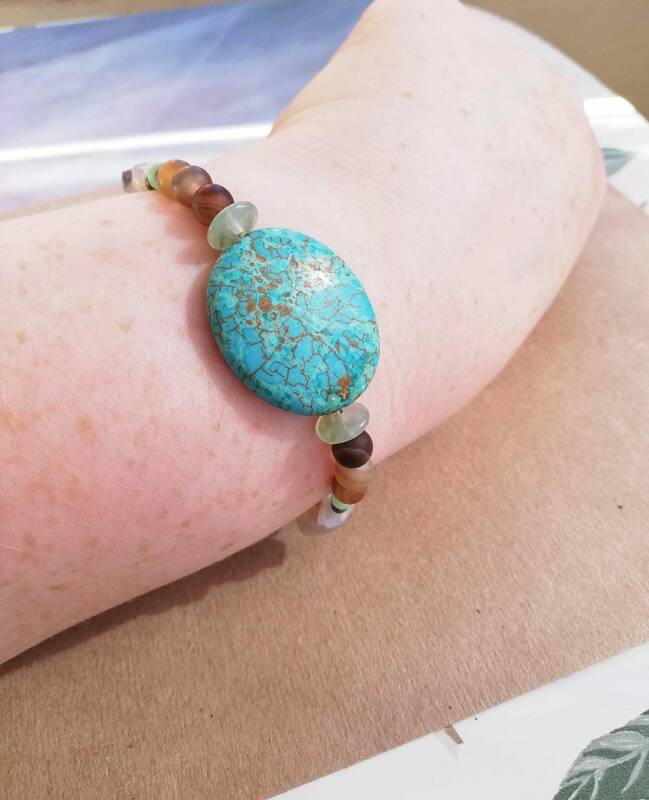 This bracelet measures 18.5-21cm (7.2-8.2") which is a MEDIUM - LARGE ladies size.